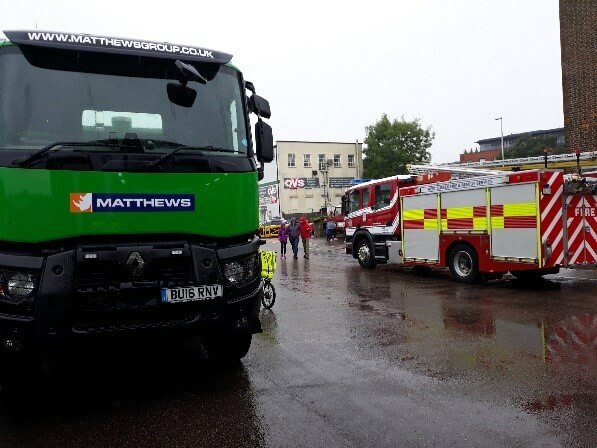 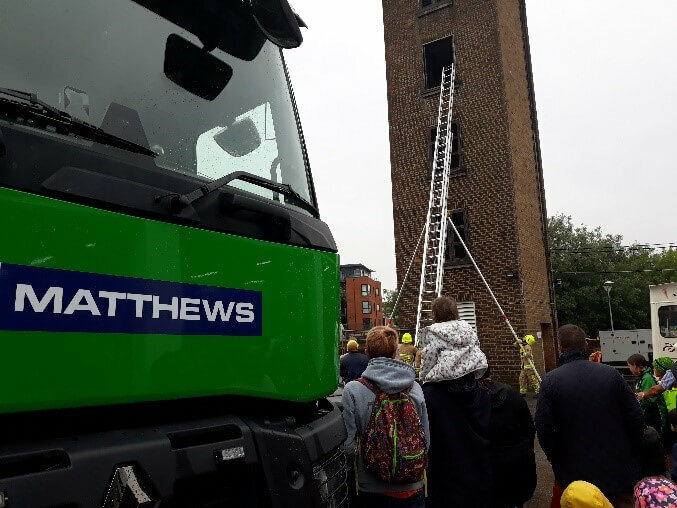 Matthews were thrilled to be invited to the East Grinstead Fire Safety Day, organised to bring the local community closer to the emergency services. We were invited along by the Fire Station due to our commitment to the Considerate Constructors Scheme, roads safety and positive relationships with the emergency services in and around Sussex. 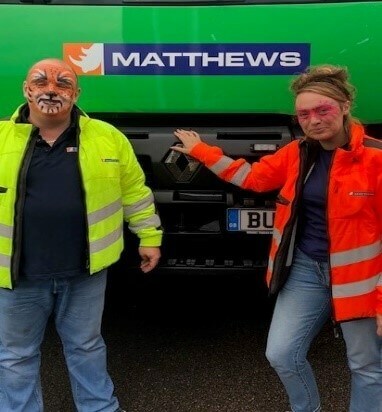 Always keen to participate, the Matthews team were the first guinea pigs at the face painting stand. 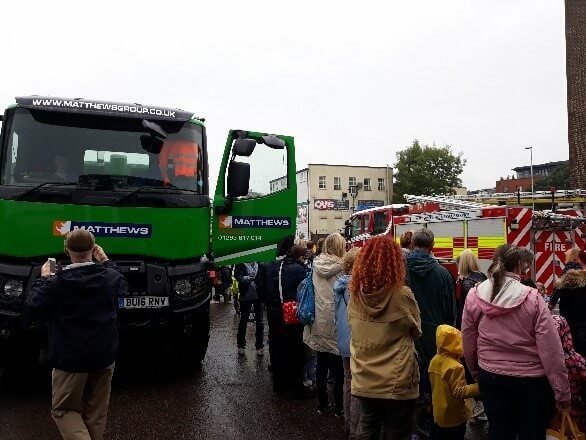 It made for a very relaxed way of getting the message about bike safety across to the kids and their parents. 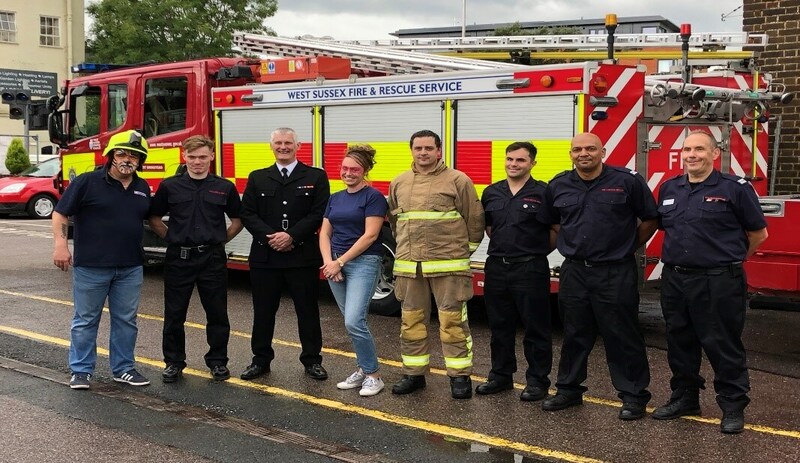 Unperturbed by the rain that started the day, the families flocked to East Grinstead Fire Station, with demonstrations from the fire service, including rescuing a trapped person from the top floor. 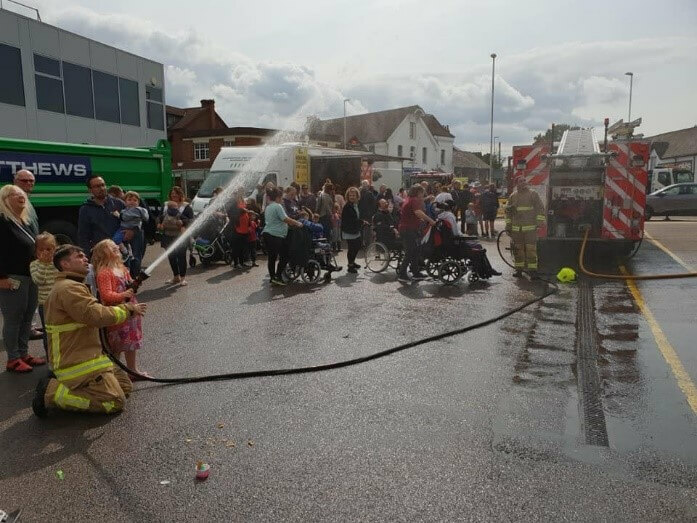 Followed by the fire service and then the kids showing their accuracy with the fire hose, some were certainly better than others, as I’m sure some of the Mum’s and Dad’s who got a quick showering would testify to…. 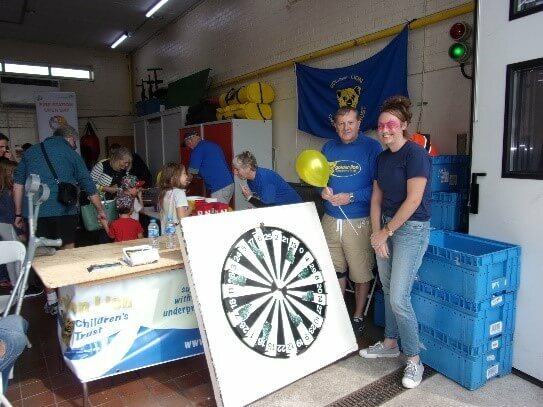 As part of our ongoing commitment to the local community, the Considerate Constructors Scheme, the Fleet Operators Recognition Scheme and the demolition and haulage industries we took our monster Renault 8-wheel tipper with us, along with our spin the wheel game, which gave the kids a chance to win both t-shirts and some sweet treats.